Ideal for installation specialists looking for quality products and really reliable service. First for builders, project-based double glazing installers and trade customers. Spot on products, technical support and personal service for the home installer. 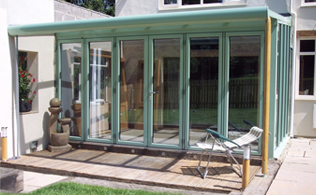 Are you installing windows, doors and conservatories in Suffolk and Essex? Ipswich Trade Frames is reliable, knowledgeable and friendly. We turn quotes around swiftly and deliver on time - because we understand what that means for your business. 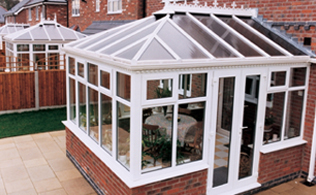 Ipswich Trade Frames is a distributor of uPVC and aluminium windows, doors and conservatories. We do not install, so we do not compete with our trade customers. We are simply here to deliver the very best service possible, so your business can really benefit. 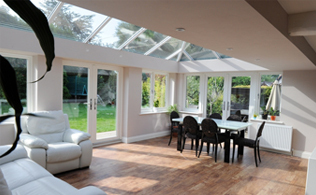 We will beat any genuine like-for-like quote on all windows, doors, conservatories and accessories. Prefer a face to face? At Ipswich Trade Frames we specialise in trade windows, doors, conservatories, double and triple glazing and roofline supplies in Ipswich, Clacton, Colchester and across Suffolk and Essex. All our top quality uPVC and aluminium frames are British made, with some manufactured here in East Anglia, enabling us to supply best quality products quickly, and at a competitive trade price. As distributors with an excellent knowledge of the industry and its products, we do not compete with our trade customers, but instead use our expertise to nurture first class relationships with our suppliers and provide optimum personal service to our customers. “Ipswich Trade Frames make it so easy. I can leave things with them and they just get them sorted out, so that frees me up to get on with the job. At our trade counter warehouse in Ipswich, we organise with you product details to meet with your specific requirements, planning and ordering every frame on a made-to-measure basis. Delivery is usually achieved in 5 working days. We also hold stock of a wide range of fascias, soffitts, rainwater systems, window trims and other ancillaries for collection immediately or next day delivery. We do not only supply large scale items, but sell a wide range of parts individually and offer all those necessary consumables too. We tailor each no obligation quote to your exact requirements – and you can expect us to return a dedicated quotation in 24 hours. But because we know that there’s a whole host of reasons why customers can’t always make decisions swiftly, all our quotations come with extended validity. Ipswich Trade Frames: your first choice for trade double glazing, trade windows, trade doors and trade conservatories in Ipswich, Clacton and Colchester.